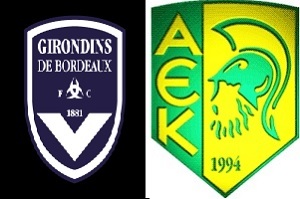 On Thursday Bordeaux will play against AEK Larnaca for Europa League. Although the Girondins didn't bring any quality players till now, they are far better team than their opponent. AEK Larnaca finished second in Cyprus, but this is not a good achievement considering the competition. Bordeaux is hosting this meeting and they will give their best to delight the audience. Considering defense is not the best line in AEK, I expect early goal and superiority for the French team. The odds for home win are too low to be worth the risk. Half time/ Full time win for the Girondins is a value bet.